Organic and outrageously delicious, Kippy's Ice Cream is going global. First stop - Japan! 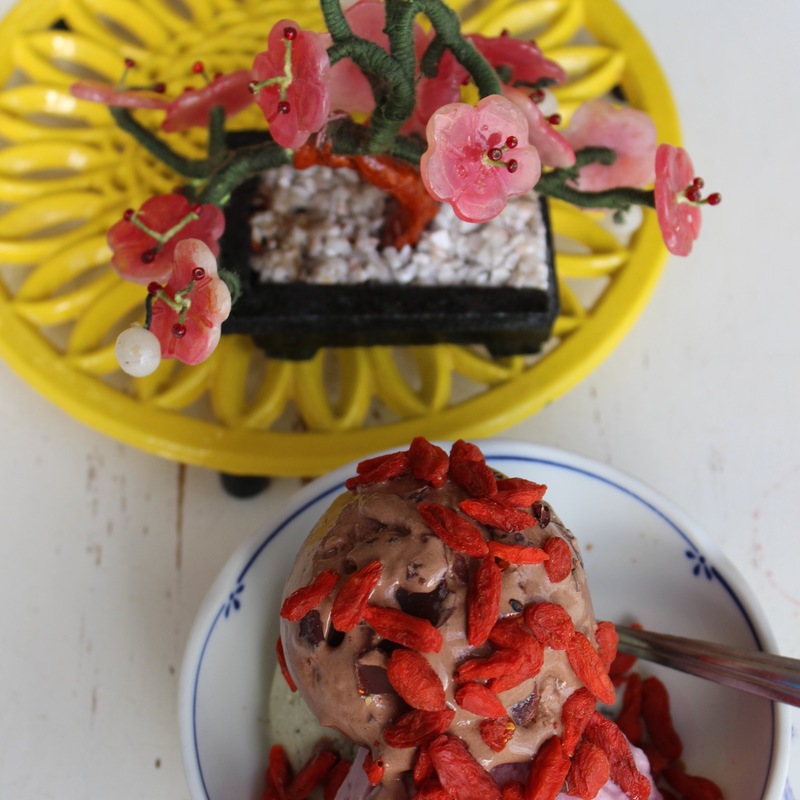 Venice, CA's vegan ice cream is now available in Tokyo. Assorted berries mingle in the ice cream bowl. Another healthy, happy and hip Kippy's Ice Cream customer. Trendy. Hip. And the spot in LA for organic non-dairy ice cream treats is Kippy’s! The 42-year-old owner, Kippy Miller, says, “I’m more fit now than I was at 22.” She attributes her ability to lead 16-hour workdays to her organic, healthy food choices. “Inspired by the power of change through diet,” Kippy decided to share her secret to long-term success – treats! Enter Kippy’s non-dairy organic ice cream shop. The popular dessert is primarily made with ingredients such as coconut cream, raw honey, fresh fruits, nuts (and other good-for-you yummies)… Bestsellers at the shop include date honey, chocolate, mint chocolate chip, and raspberry. Kippy’s! fans are looking forward to her cookbook coming out in 2016 so they can replicate the ice cream at home. Kippy generously shared one of her recipes for my readers. Here is Kippy’s 1-2-3 Easy Organic Chocolate Ice Cream recipe. Miraculous healthy Kippy's Ice Cream! Kippy's rich, deep chocolate ice cream seduces the senses like a mature wine. Despite the decadent flavor profile all the ingredients are healthy and good for you. Maybe we really can enjoy dessert first! 1. Blend all the ingredients together until well combined. 2. Place covered in the refrigerator for 2 hours. 3. Pour into an ice cream maker and churn according to manufacturer’s instructions. 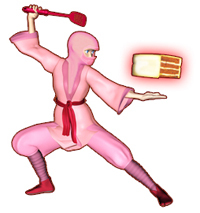 KIM WATKINSON (aka THE NINJA BAKER) Japanese food and language were all the Ninja Baker knew until age 5. Tokyo was home until age 18. At NinjaBaker.com, the cultures and cuisines of Japan and America are celebrated.